As the Cosmos Unravels The disruption in the space-time continuum caused by the creation of the "Blue Eye" singularity continues: Thread by thread, the fabric slowly frays and peels away, breaking down barriers between dimensions. As the lines between realities blur, the consequences cascade. A Sleeping City Awakes Voyager pursues Tuvok to a long-dormant space station, a place of astonishing grandeur and wonder. Ancient almost beyond imagining, the city seduces the crew with the promise that their greatest aspirations might be realized. 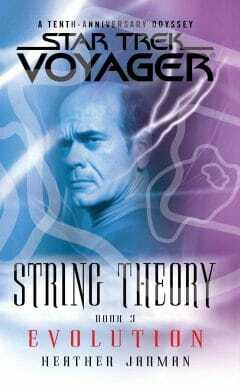 Such promise requires sacrifice, however, and the price of fulfilling them will be high for Voyager. A Mysterious Power Stirs Unseen sentries, alarmed by Voyager's meddling in the Monoharan system, send emissaries to ascertain Janeway's intentions. 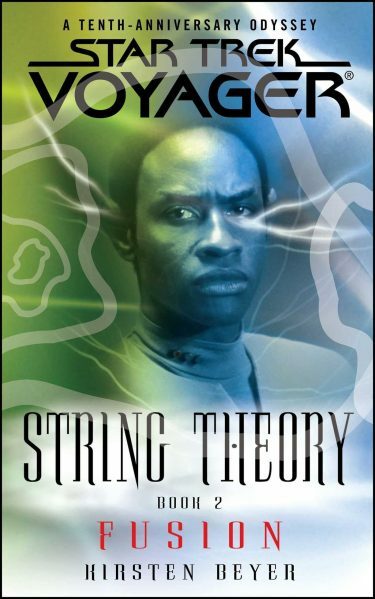 Unbeknownst to the captain, she is being tested and must persuade her evaluators that their contention -- that Voyager poses a threat to the delicate web of cosmic ecology -- is baseless. And failure to vindicate her choices will bring certain retribution to her crew. 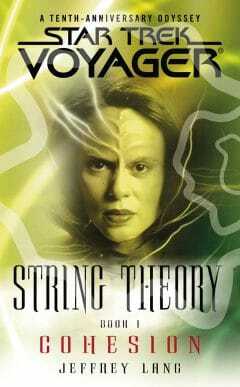 Other Books in Series "String Theory"
While continuing their odyssey through the Delta Quadrant, Captain Janeway and the crew of the Voyager encounter a strange alien race that according to known physical laws should not exist. An expedition to the Monorhan homeworld hurtles the starship into a region beyond the fabric of space-time. A wake of destruction and loss threatens the USS Voyager as Chakotay assumes command as the crew takes increasingly dangerous actions in order to assure their own survival. But Voyager doesn't fight alone. Toward this end, a familiar nemesis - the cosmic meddler Q - sends Paris and Kim on a perilous journey.